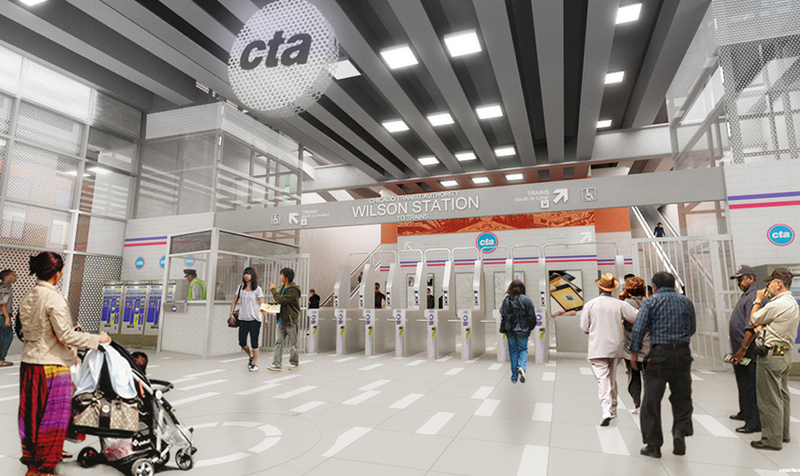 A new CTA Wilson Transfer Station, located on the CTA Red Line on the north side of Chicago, was designed to replace the existing aging facility. 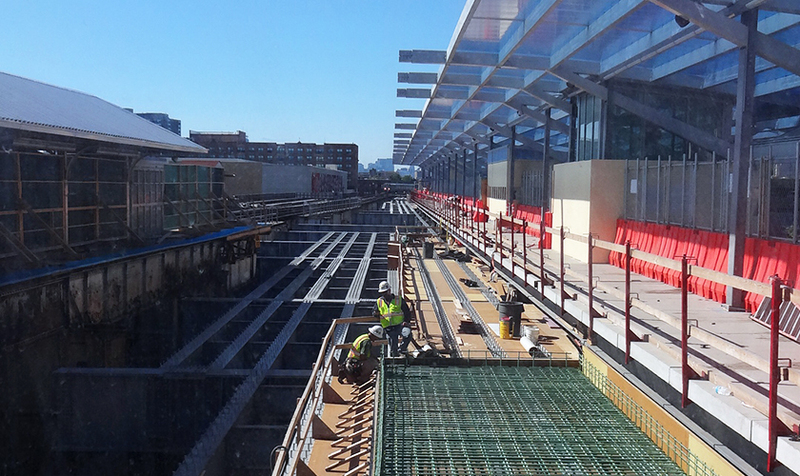 The project included the construction of a main station and two auxiliary entries/exits with ramp and stairways, Customer Assistant Kiosk, supervisor booths and other ancillary spaces, as well realignment of the tracks for several bents. 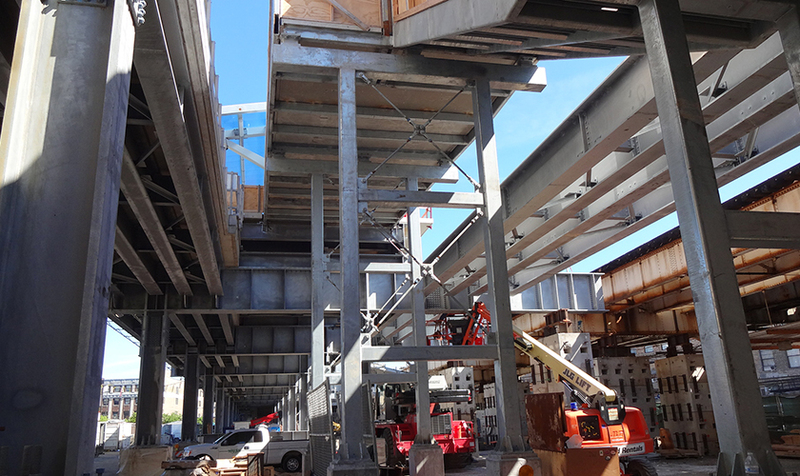 A multi-disciplinary design team, commissioned to provide architectural and engineering design services as well as DOR services for the construction of the Wilson Transfer Station. 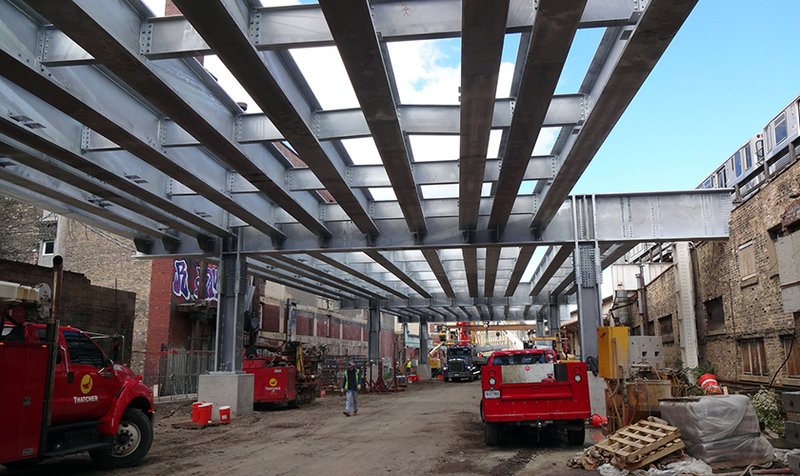 KMI’s role was MEP engineering design of the entire facilities, structural design of the bridge abutment and various structural components of the elevated track structure, assistance in architectural design of the escalators and elevators, shop drawing review, responses to issues and RFI’s and DOR services for the construction of the project. 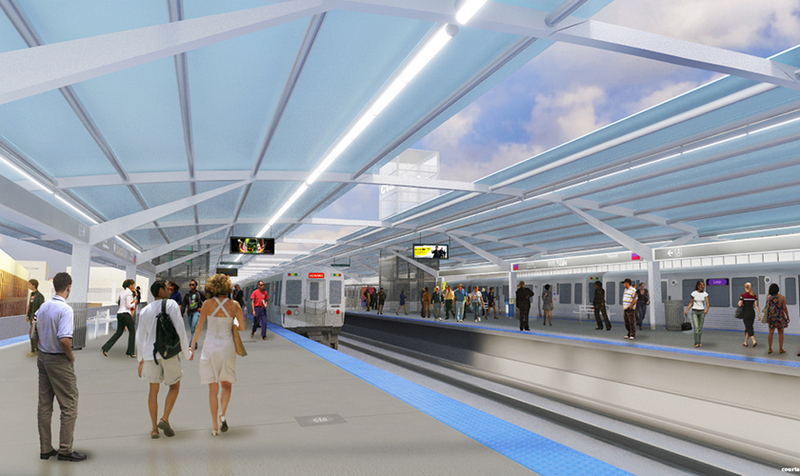 Considerable effort was made to conceal from public view most of the complex network of conduit and piping. 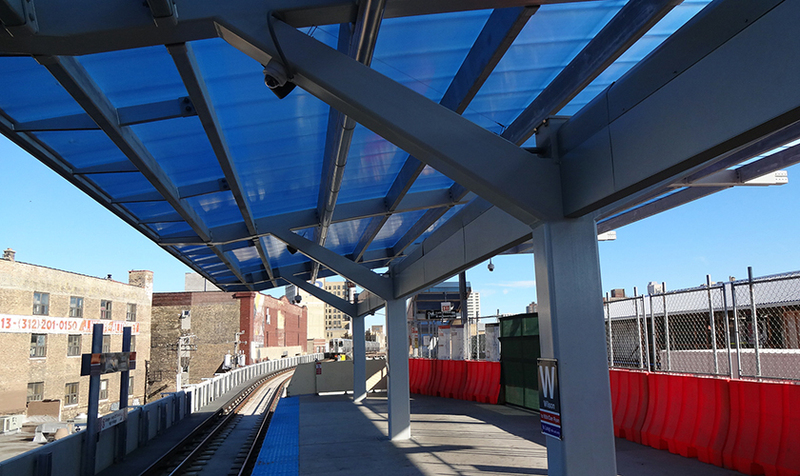 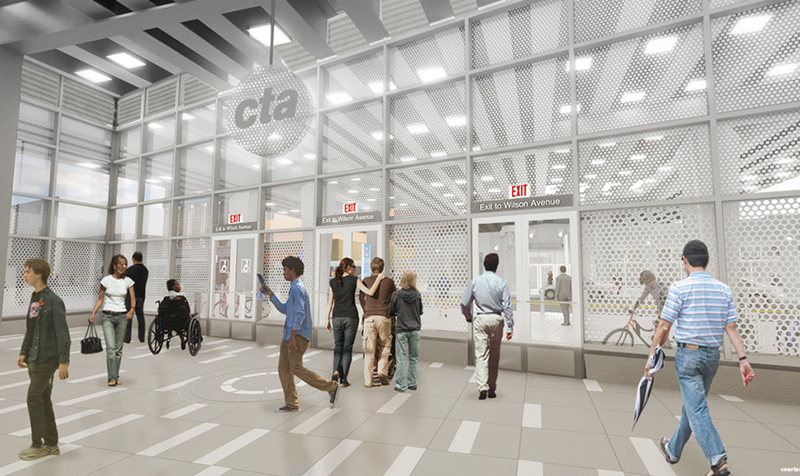 The Wilson station may be the first CTA station to utilize LED lighting throughout the project.